Return match of the Spanish Cup this season Villarreal will play at the quarter-final matches in the Getafe’s field. 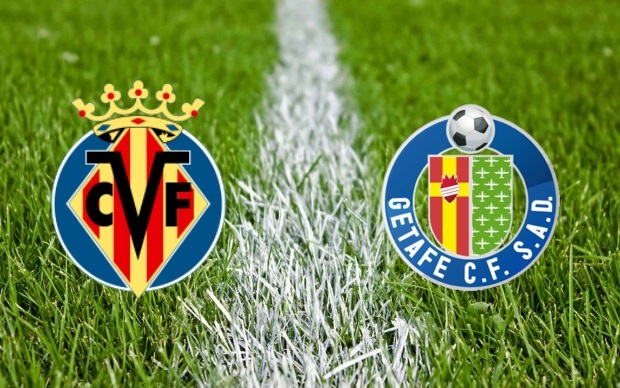 Villarreal will get advantage of home win at the quarter-final first leg against Getafe. The second leg will open up at 29 Jan. 2015. Watch this match on ESPN 2 Caribbean, Arena Sport 1 and Sky Sports 5/HD. Sergio Asenjo, Bojan Jokic, Mateo Musacchio, Ikechukwu Uche, Giovani dos Santos, Manu Trigueros, Chechu Dorado, Victor Ruiz, Moi Gomez, Gerard Moreno, Joel Campbell. Jonathan Lopez, Roberto Lago, Emiliano Velazquez, Angel Lafita, Pablo Sarabia, Karim Yoda, Pedro Leon, Sergio Escudero, Fernando Aristeguieta, uan Rodriguez, Ivan Marcone. 22 matches since 1999 were played among Villarreal and Getafe. Win just 5 matches by Getafe against Villarreal, where Villarreal won 14 matches in this 22 meeting with 3 draws. Three consecutive victories for Villarreal against Getafe at last 3 meetings. Last victory for Getafe was in 2013-14 seasons at Villarreal field in Primera League. Biggest 3-0 victory is in the first and second win of Getafe against Villarreal in 2010. They had to wait for their first till 2007 after their first win at 1999. This season so far Getafe won just 4 matches with 5 drawn in their 19 appearances in the league. These place them into 14th position in the league point table. Villarreal is the 6th at the point table so far after 20 matches and with 38 points. 2011 UEFA Europa league semi-finalist can’t win any League Cup or Spanish Cup title in their football club history. Last season’s 13th place holder is 2006-07 and 2007-08 Copa del Ray’s runners up. In the last match of the La Liga they have lost by 0-3 goals against R Madrid. Getafe’s last victory came against Almeria at Del Ray’s fifth round. That is their only victory in their last 6 appearances in Cup and League.